Many people wonder whether it gets easier each time someone learns a new languages. I am here to tell you that yes, it does get easier. In the article called “What Gets Easier When You Study More Languages?”, the author is someone who speaks 7 languages, and she discusses what she has learned about learning new languages. She lists the reasons as to why is gets easier. The first one is that, by the time you start learning your 3rd or 4th languages, you already know the strategies that work for you. Each person learns in different ways, and the more times you do it, the more you learn about yourself and the less time you spend wasting on useless methods. Next is that you become more confident with your language learning skills. Most people have doubts about whether they are able to learn other languages, and the more you do it, the more confident you are with yourself. Even unconscious confidence helps with learning. Many people are under the impression that learning several foreign languages requires a “gift”, and if you don’t have it, then it just not in the cards for you. But that is not true. So, lastly, the author discusses how, as you learn more languages, you realize that anyone can do it if they put the effort and time into it. The second article, “The more languages you know, the easier it is to learn another one”, supports the first one, and gives a bit more information as well. It mentions that one becomes more confident learning more languages and one “learns how to learn”, but it also talks about the technicalities that are transferred from one language to another. For example, vocabulary and grammar. “Most European languages share a great deal of vocabulary.” When learning similar languages, such as the Romance languages, one gains a broader vocabulary, and a lot of the words are similar. As someone who speaks both French and Spanish, I can say that there are a lot of similarities between then, and when you know one, it becomes less difficult to understand or retain words and information. But even if you are not learning another language that is similar to one you already know, the knowledge of grammar is still transferable and helpful. The more languages you know, the better understand you have of grammar in general, and grammar is a very important part of learning a language. So, even though the rules won’t be the same, or even close, that skill will have already been developed. Now, this is not to say that, once you know 3 languages, you will be able to learn the 4th one in a week. Learning a languages still takes time, effort, and motivation. However, every time, you develop new skills and more knowledge that will help you in your next attempt. So go, learn! What are you waiting for? 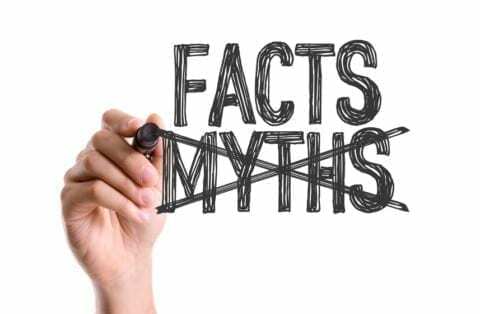 Myth or Fact: It Gets Easier Each Time One Learns A New Language by Amani is licensed under a Creative Commons Attribution-ShareAlike 4.0 International License.